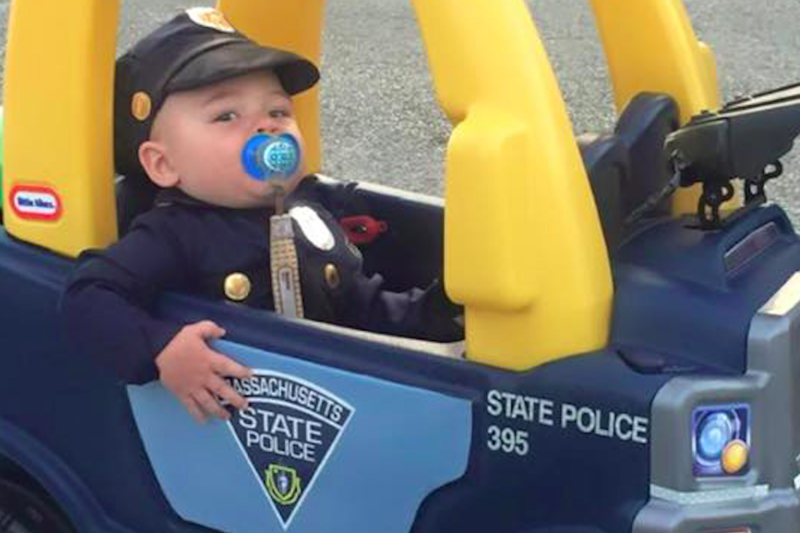 The Massachusetts State Police might have found its next recruit. 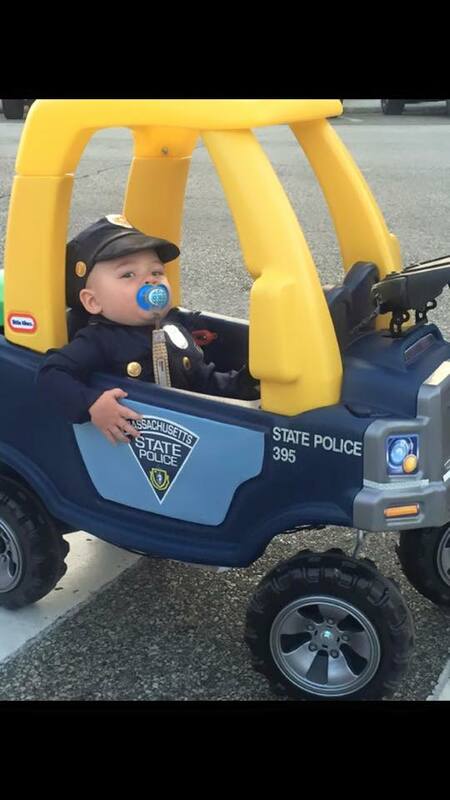 Trooper Phil Giardino’s nephew, Griffin, lives in Pennsylvania but that didn’t stop him from proudly repping his uncle’s uniform. 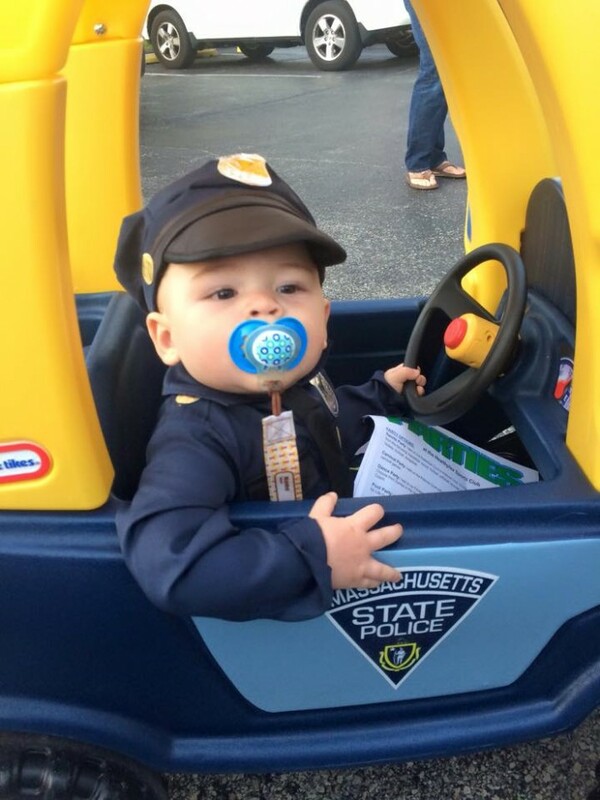 Griffin won second place at the Springfield Pennsylvania Halloween Parade, according to a Facebook post from the Massachusetts State Police. Coming in second place to a witch costume, it’s unconfirmed whether or not Griffin ticketed her for the view-obstructing hat. But, seriously, don’t break the rules on his watch. 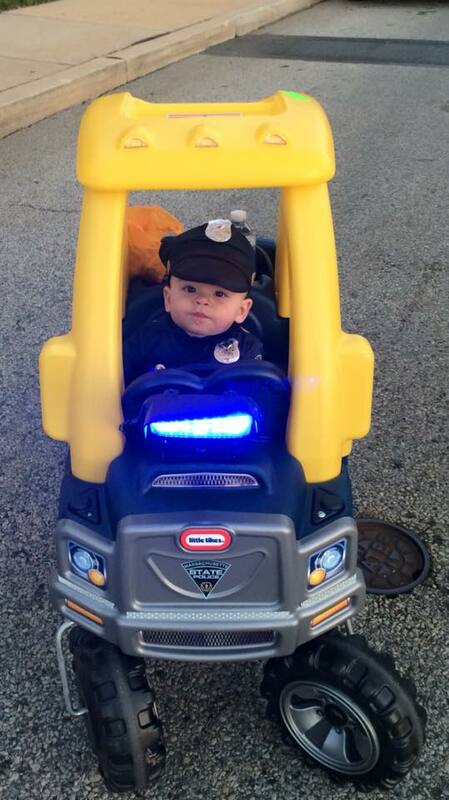 He’s a tyke of the law. He can’t exactly read you your Miranda Rights but, ya know, he’s learning.